Only water inside the gym, NO sport drinks of any kind in the GYM. If you spill, then you MUST clean it up. Trash goes into the trashcans and does not get left on the floor. Keep all stick bags and back packs on the carpet by the team chairs during your game. Each Sunday you need to apply a strip of tape to the bottom edge of your stick (tape will be at the scorer table). When you arrive, check in with the scorekeeper at the score table. No one may play in the back hallway. That area is only to give you access to the bathrooms. DO NOT SIT ON TOP ON ANY BLEACHERS THAT ARE NOT EXTENDED! You may want to bring lawn chairs to sit in the open space opposite the score table. The speed limit is 25 mph in the town of Milton and I do not have any pull to get you out of a ticket. If your team is listed first you wear your white side out and if listed second you wear your blue side out. 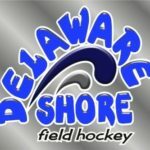 Games start promptly so you need to arrive 5-10 minutes early to find your coaches, check in at the scorebook (move badge from lobby to scorer table) and be ready to play. Make sure you clean your area before you leave so there is no ‘lost and found’ to deal with each night. If a parent wants to be notified in case of weather issues, you MUST text Ike at 302-236-4265 with your name and athlete’s name so I can create a text group. 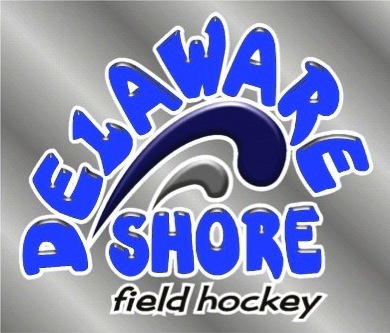 © 2019 Delaware Shore Field Hockey. All Rights Reserved.